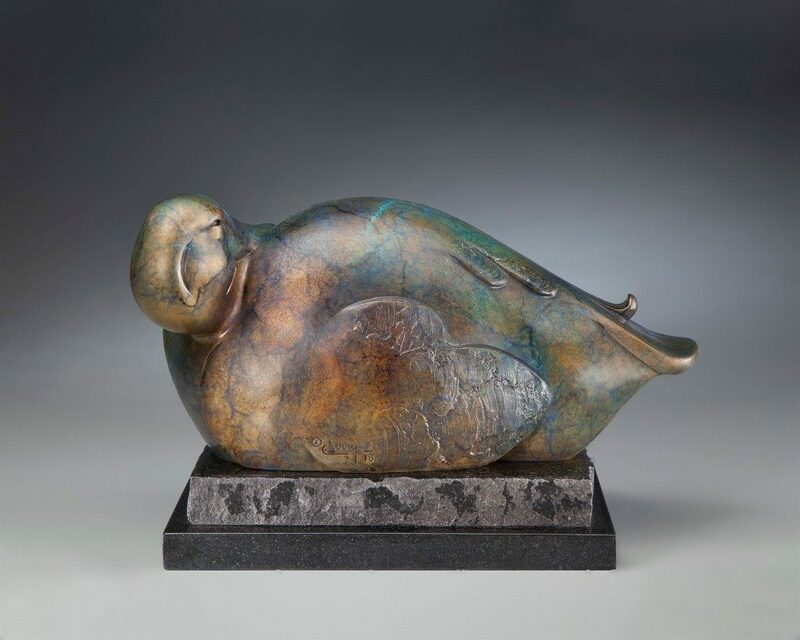 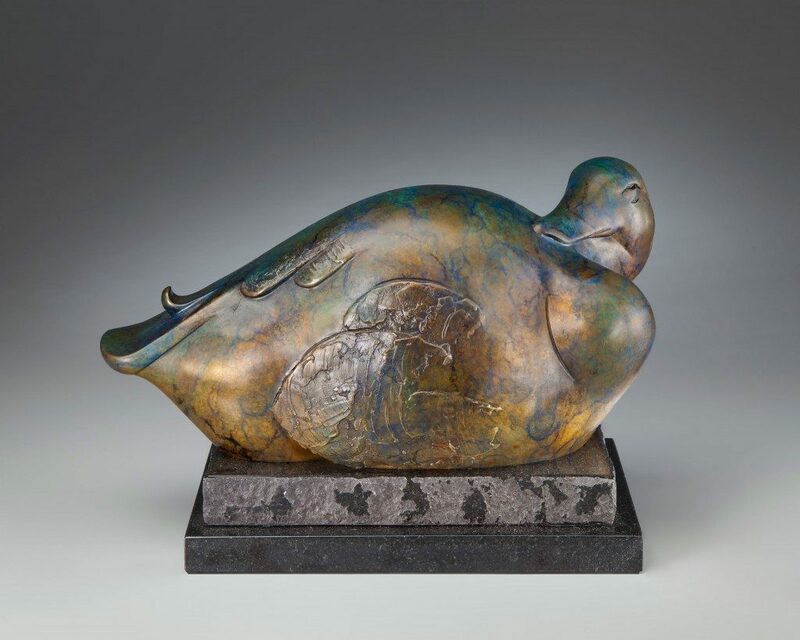 I love the beautiful volumes and lines of a resting duck. This design is all about orchestrating the subtle shapes and combining heavy texture against smooth surfaces to add depth and interest. 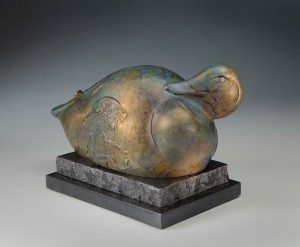 The patina I chose for this piece is very unique and adds a contemporary feel to the overall statement.